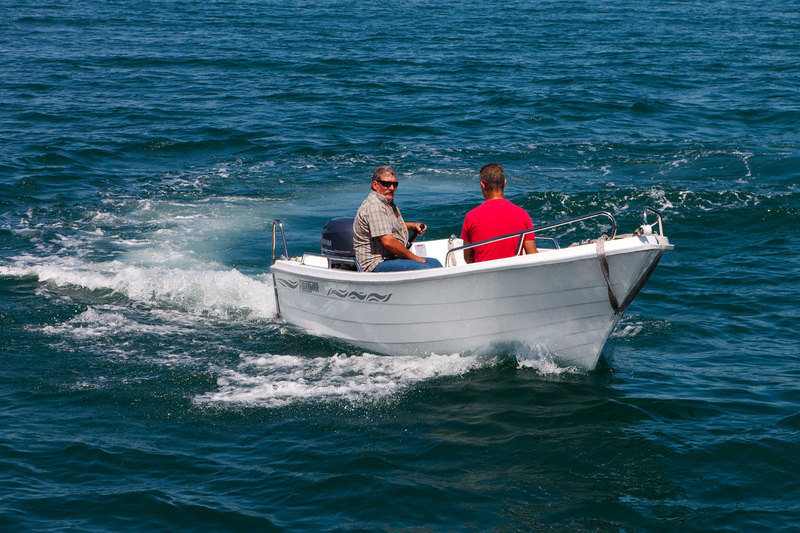 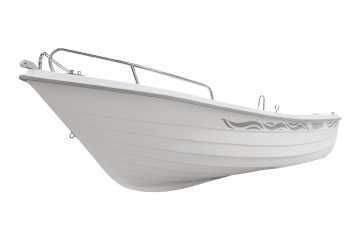 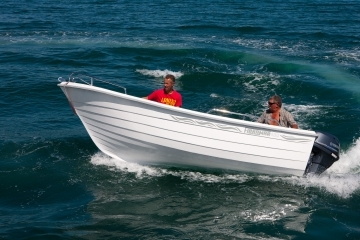 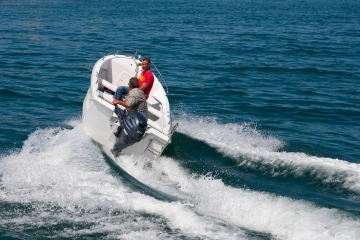 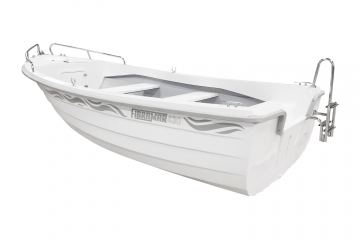 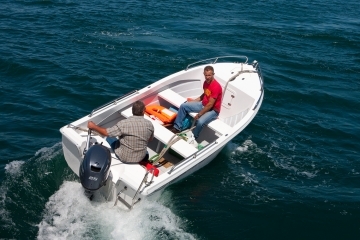 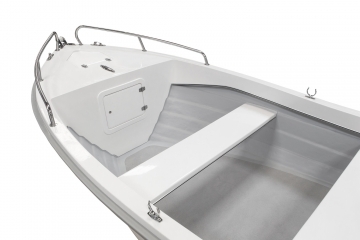 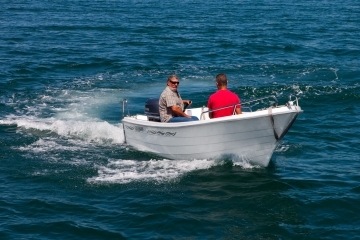 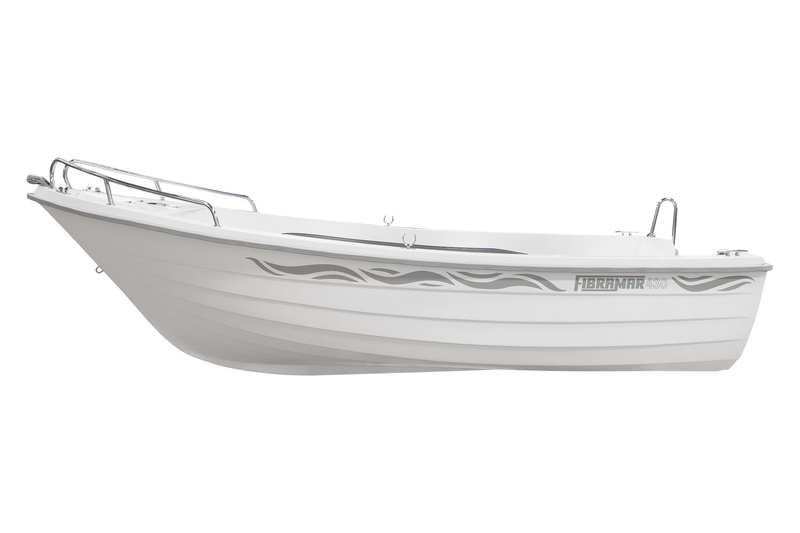 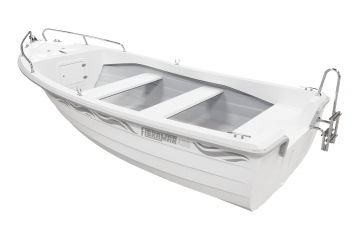 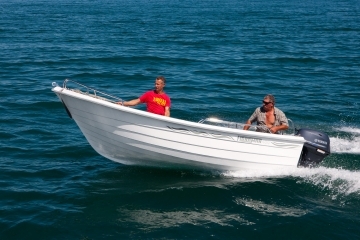 The 430 Pescador is an open model that can support an outboard motor up to 40HP. 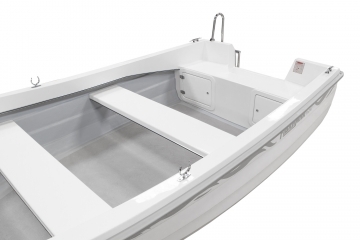 The launch of the bow gives you an increased protection to navigate compared to its predecessor model, the 420 Pescador. A small side console is available to increase the driving comfort (optional) as well as a central console (optional). 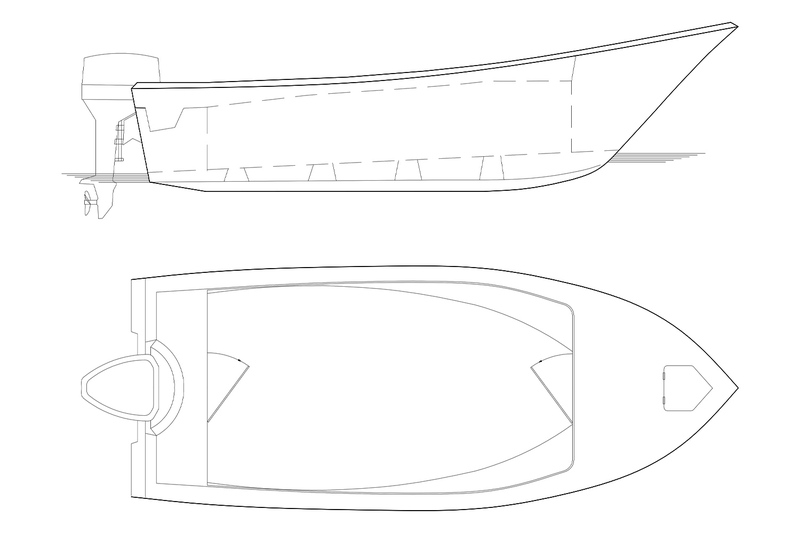 It is also possible to install an open cuddy (optional, as shown). 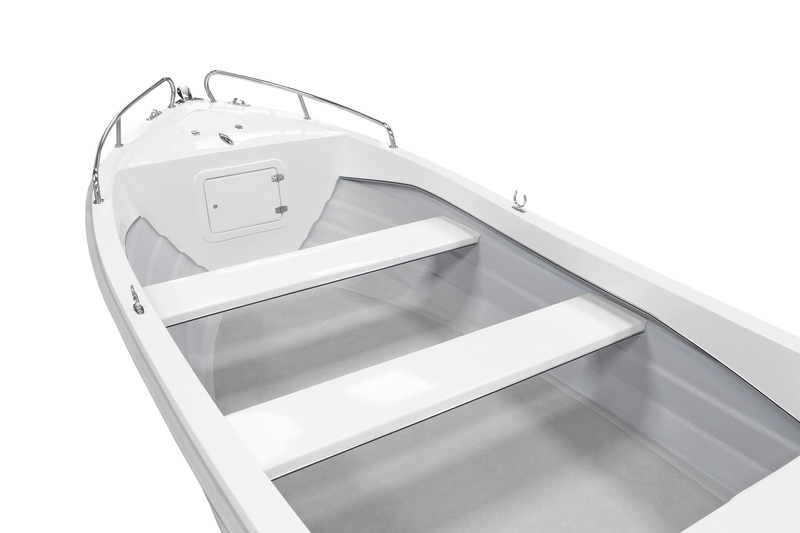 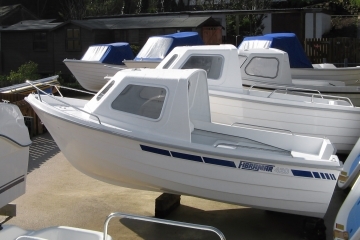 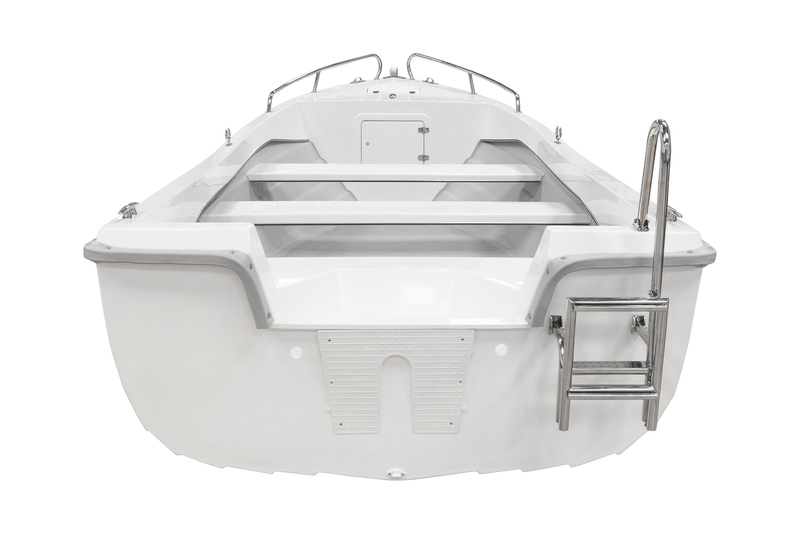 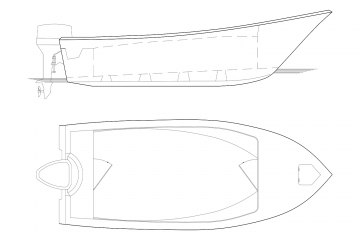 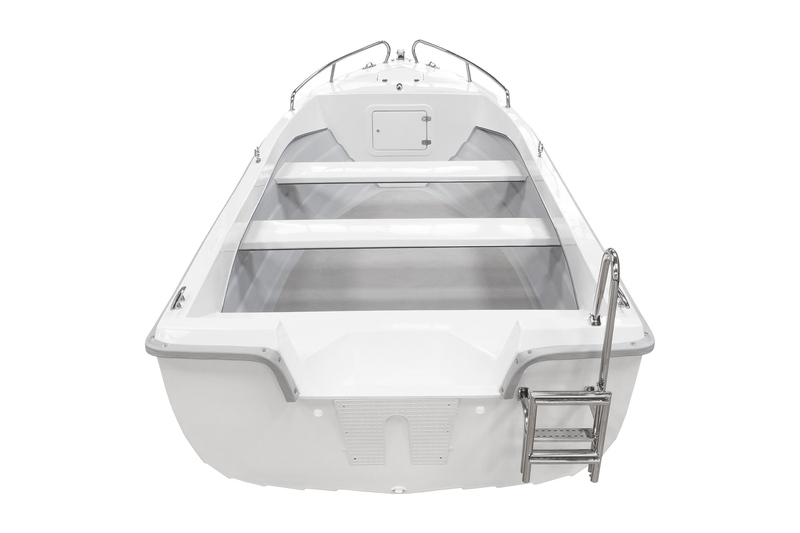 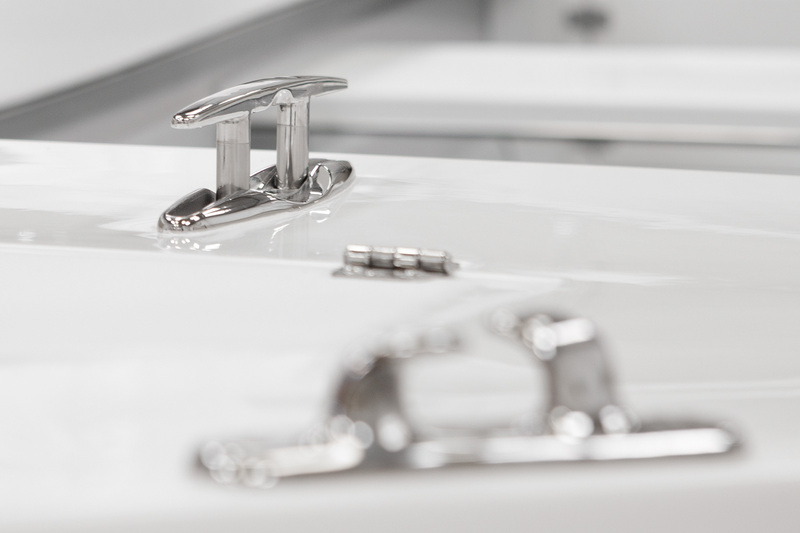 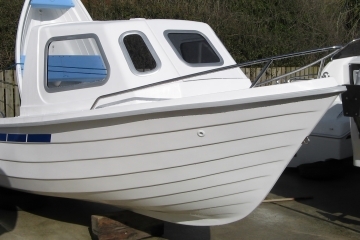 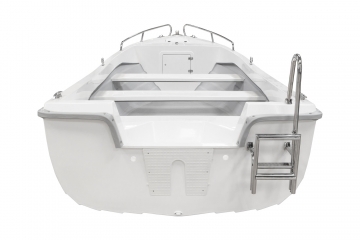 Cleats, skene bow chocks, U-bolt bow eye, bow rail, embedded benches at the stern, two transverse benches, foldable ladder, bow roller, compartments for storage at bow and stern with locks, self-draining anchor locker, non-slip deck. Color of the hull, central console, storage locker/seat with tilting back, side console, cuddy, handrails, side handrails, rod holders.